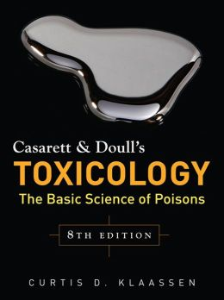 Louis J. Casarett & John Doull first edited, Toxicology: The Basic Science of Poisons, in 1975. In 2013 the 8th edition was edited by Curtis D. Klaassen, published by McGraw-Hill. ISBN: 978-0-07-176923-5.